Seymour Electric and Sons | Electrician, Contractor, Electrical | Seymour Electric Ltd.
Hey guys just wanted to say that I do really appreciate all the hard work and extra hours you are putting in on this project. Thanks for your patience. Thank you for a job well done. It was cold and raining, not a very nice day to be outside doing work that had to done. Your sons worked hard and performed in a mannerly fashion. We found them to be very nice men. Thanks so much for all your efforts to accommodate our request for inspection and work completion. You have always been so reliable and we appreciate your work. Your work truly reflects your character and we wish you well with your business and family. I would like to thank you very much for the work that your company did at our home. Your sons did a very professional job while at the same time pleasant. I would recommend you to anyone who asked. Thank you for doing an excellent repair job at our home. I would like to compliment you and your staff on the professional job at our house. The 2 workers were both courteous and friendly, even when I asked them to go back up in the attic, to double check an area they had missed. Workers of this calibre are difficult to find, but I truly believe they reflect the ethics and work habits of the person that hired them. I would not hesitate to recommend your firm to anyone looking for residential repairs, as well as the 2 young men whom I dealt with. As a great man once said “It doesn’t cost any extra to be nice to people”. You and your workers embody this sentiment. 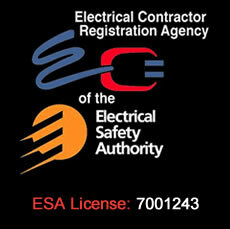 Seymour Electric & Sons Ltd.
Where Safety, Quality and Expertise is Our Commitment to You!